As early as 1291 and 1992 John Monte Corvino came to Mylapore in Chennai and stated there for one year and baptized about 100 persons. He belongs to the Franciscans order which was founded by St. Francis of Assis in year 1209. Franciscans were the very first catholic religious missionaries to the India after the individual missionaries like St. Thomas the Apostle, Pantaenus, Frumentius etc. The capuchins as a distinct branch of the Franciscans came into existence in the Church in 1528. It was known as Counter Reformation and movement initiated by Matthew of Basio. The propaganda Fide was established by Pope Gregory the XIV in 1622 with the help of the capuchins. The German capuchin Jerom Narni played important role in it. The capuchin cardinal was appointed as first prefect of propagation of faith. In 1633 Pope urban invited missionaries for the proclamation to non Christians. The capuchins cooperated with this office more closely. In 1632 six capuchins came to India to continue the work began earlier by the Franciscans. They arrived Pondicherry and were chaplains of the French trading company and as the French company closed its branch in Pondicherry the chaplains too had to leave India in 1634 and they were recalled later in 1671. the early capuchind spent their time in evangelizing the local people by way of their life and ministry. The evangelization was ment for them to bring people to the catholic faith and the establishment of the churches. In the course of time establishment of the order was given more importance. The congregation for the propagation of faith which was started in 1622 and it send the capuchins far and near. The capuchins were sent in 1626 to Syria and 1632 six capuchins landed in Pondichery. The Capuchins settled in Madras 1642. The novitiate was opened on Sunday 26th February 1922 in Sardana. Indian commissariat was established in 1930. In the beginning they were chaplains to the French people. The first friary to be established in Tamilnadu was Amalashram in Srirangam Trichy in 1943. 14th April 1963 the capuchin order took the shape of autonomous Indian capuchin province of the immaculate heart of Mary. Till 1972 the order in India had its one headquarter in Shanti ashram, Coimbatore. Than it was divided into four jurisdictions but now into fifteen jurisdictions which is now with 14 jurisdictions called as conference of capuchin major superiors of India (CCMSI). The Tamilnadu region came to be separate province on 17th may 1972 under the patronage of Amala Annai (Immaculate Conception). It had at this time fifty friars with seven houses. The Capuchin came to Indian first Pondichery in 1632 on 8th of January. It was under the Syria allpa monastery. According to Nobert par le tec the capuchin landed in 1642 dated 26th June with the lettet of King Louis XIII of France. 1664 Aug 27th dated government document says that the French business people wanted spread the catholic faith even though they came for business. From 1632-1688 only capuchins were serving in the mission area of Pondicherry. So the capuchins are the pioneers of the Christianity in Pondicherry. From there they went back in 1634 and came back once again in 1674 and ministered up to 1828. they built many churches and established mission stations and brought people to catholic faith. The first churh In Pondicherry was also built by the capuchins. It was dedicated to St. Peter or Lazar. Alamparai, Karaiyampathu, Marakanam, Alampakam, Dadalur, Manjakumpam, Kdapakam, and Kurusukupam are some of the mission stations of the capuchins. The church of Mary of angels commonly known caps church was built by the capuchins in 1709. they also worked among the tribes in chithur hills stations. The capuchins and Jesuits had good relationship. 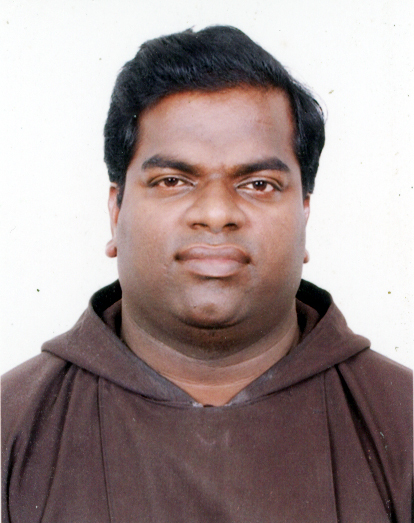 St. John De Britto was invited by the capuchins and he stayed in pondicherry and also did pastoral ministry. The Church of Mary of the Angels was built by the capuchins. The church of St. Andrews, Church in Royapuram. The first church in madras was built by capuchin father Fr. Ephrem at St. George fort. The first Indian English School was established by capuchin Fr. Ephrem in 1642. it was established in St. Andrews church which was inside the St. George Fort. He wanted to help the children of English business men who did not have time for their education of the children. In course of time the children of Portuguese and the irish business men also joined them. In course of time it was financed by the madras business people association. After the death of Fr. Ephrem the school continued in the same place for some year and it was shifted to the church of St. Mary in paris corner madras. They were involved in bringing the people to the catholic faith, working for the Christian unity, and had good relationship with people of other religion like Islam and Hinduism. Fr. Ephrem (+1695) who was pioneer of Madras mission was friend of Golkonda king Abdulla Khuta Khan. He was gifted linguist and mathematician. He was welcomed by British township of St. Georg Fort. The governor of the fort welcomed him and with the permission from Rome consented to live in Madras. He confirmed about three thousand Catholics in single service. The Amalashram was founded in 1943. But in between 1834 and 1943, for the past 109 years the work of the capuchin was not much thought of. But it is because of their prayers and blessing the capuchin mission in Tamilnadu is being blessed to the extend of having a General Definitor in the person of Fr. John Antony ofm. Cap., in Rome from 2006 onwards and general spiritual assistant of secular Franciscan order in the person of Fr. Irudayasamy ofm.cap, from 2003-2009. fr. Nityasahayam ofm.cap., at FABC (Federation of Asian Bishop’s Conference) in the justice, peace and ecology commission as secretary. Fr. Jonathan (1975-1978) was the first provincial minister. He was re elected in march 1975 for another three years. He was followed by Fr. Mathias (1978-1984) who was provincial for two terms. Than Fr. Aruldass (1984-1990) took up the animation for another two terms. Than Fr. Jesudass (1990-1993) was elected as provincial. His term was followed by Fr. John Antony (1996-2011) who became provincial in 1996 and he was followed by Fr. Percy Joseph raj (1993-1996) and Divakar (2002-2005) and presently the province is ruled by Fr. Alphonse Charles (2006-). He is the eight provincial of Tamilnadu province. Some of them elected for three terms two terms and for one term also. One of the unique stamp of the capuchins is psycho-socio-spiritual animation in the animation centre and at the Anugrah Arts and Science College in Nochiodaipatty near Dindugul. Spiritual animation of Franciscan sisters of St. Thomas in 1995. spreading of the Popular devotions, Popular missions, Preaching an important occasions, Novena preaching, conducting Retreats and Recollections, Education (4), Social Work, Animation centres(5), Parish ministries (14 parishes), and publication of magazines and books etc. the voice of Assisi was published from Amalashram from 1945-1953. The printing press Assis was functioning from Amalashram Trichy. There are also many social works done by the capuchins id Tamilnadu. There are six Children Homes in places like Trichy, Dindugul, Sivagangai, Nilgiris and Arcot with five hundred children. Copuchins also working in collaboration of RTU (Reaching the unreached) in the district of theni wherein about thousand children of poor families are given life. There are seven stages of Formation to become full-fledged capuchin priest. All these stages need almost 11 years of training after Hr.Sec.School. Here below the six stages of formations centres are mentioned and one stage namely Regency will be held in any one of the friaries of the capuchins. Oct.6, 1993 the capuchin Theological College was affiliated with St. Peter’s institute of Theology, Bangalore. From this institute not only capuchins but also the students belonging to Carmelites, heralds of Good News, Rosarians, order of mother of God, and from dioceses of Chengelpattu are educated. So far from this institute. More than hundred and fifty priests were trained for ordination, those who were trained from this institute are working not only in Tamilnadu but also in different states of India and in many countries of other continents also. The Tamil capuchins are also serving in other countries like Zimbabwe, Burkinofaso, France, Italy, Canada, Gulf, countries and USA etc. in Malaysia the Tamil capuchins were invited for preaching around 1960’s and in course of time capuchin friary was founded and the local youth joined the capuchin seminary and the house was handed over to Philippine province. On June 26th 1989 the Tamil capuchins were asked to become missionary in Zimbabwe in African continent and five friars were sent. Now friars are working in places like Matabisa, Brunabeg. Bulawayo etc. there some young boys joined and in course of a few years time it will be self sufficient province by with the help of the local capuchins. In Furkino Faso the capuchin mission is flourishing. Now the local students are recruited. In course of few years it will become self sufficient. The Tamil capuchin friars worked in Andhra for twelve years and handed over the mission to the capuchins from St.Joseph province of Kerala who were working in Andhra. Tamil Friars went to Andaman and worked there as missionaries for some time. Fr.Nithya Sahayam ofm.cap., worked in the peace, justice and ecology commission of CBCI and now he is working in FABC. The lay brothers 23, priests 103, temporarily professed members 64, thus all together 190 capuchins working in 24 Friaries. When we take in to account the number of friars working in out side the province of Tamilnadu the number of tamil Capuchin friars are 251 i.e including in the custody 22 friars and in different places 39 friars. The Amala Annai province is presently 7th largest province with 251 capuchin friars. The largest province will be Langobardica which is in Italy is having 351 Friars. The capuchin order has presently in total 136 Administrative jurisdictions. Those administrative bodies are known as Province (83), general vice province (9), vice province (17), Custody (17), Provincial delegation (7), and House of presence (23). The total number of capuchin friars in the world is 10412. the Order is present in 106 countries. The division and errection of new province 25th April 2012. The enough study and plans are made and finalized the present Amala Annai province will be divided into two coming 26th of April. This function will be held in Amalashram, Srirangam, Trichy. It will be divided as north and south province. The south province will have its headquarter in the parish of Thirumangalam under the partraonge of Ourlady of Queen of peace in the arch Diocese of Madurai and the south will continue to have its head quarters in Trichy in Ganalaya in the parish of melapurthur Cathedral under the patron of our lady of immaculate conception. The General Minister Very Rev. Fr. Mouro Johri ofm.cap., will declare it erected in the presence of all the Capuchin provincials and capuchins in Tamilnadu. It will be very important movement not only for all the capuchins in Tamilnadu but also for all the Franciscans and the Religious and 40 lakes Roman catholics of Tamilnadu as we are known to all of them due to our effect pastoral, social and spiritual ministries and commenting respect and reverence from the people of other churches and Religions, as our Founder St. Francis of Assisi is one of the popular saints among all the men of God known for inter religious Diolloug and mission. Thus the Capuchins in Tamilnadu taking St. Francis of Assisi as their role model try to spread the values of love, peace and Harmony in different fields like education, mission, preaching, social work and parish ministry in and out side the state. The Dedication and selfless sacrifice helps many people to know and experience the love of God and praise him in return.